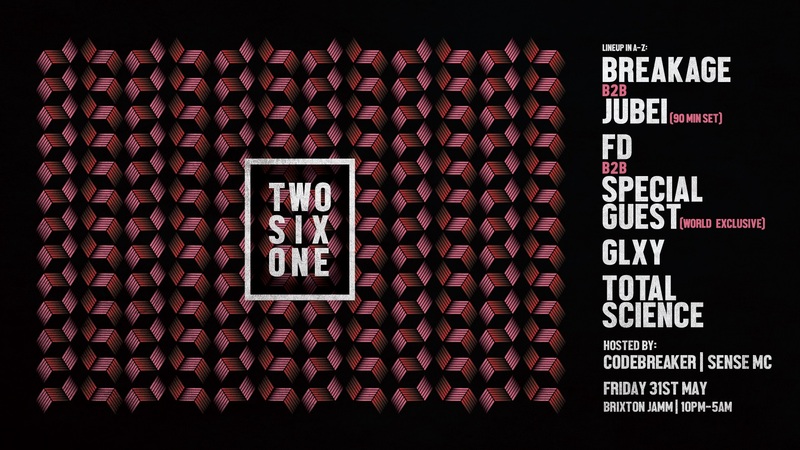 Following the madness of our launch event, Two Six One returns to Brixton Jamm this May with another carefully curated lineup, featuring more heavyweight b2bs & a secret special guest. 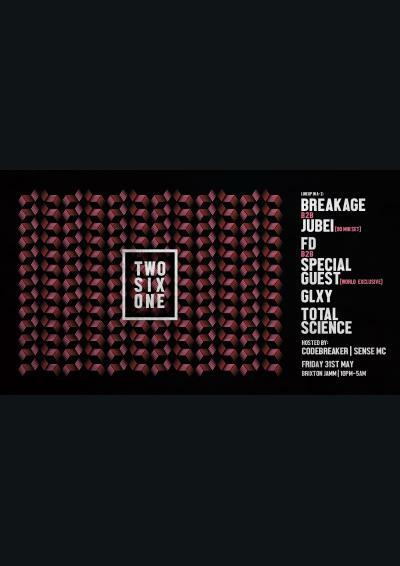 The North Quarter's FD goes b2b with a secret special guest for an unmissable world exclusive set that’s sure to make mouths water. We can’t say much more about this, but trust us, you won’t want to miss it. Alongside our 2 head to heads, we're honoured to present C.I.A head honchos Total Science. Absolute legends in the game with a back catalogue rivalled by very few and a record bag to make your ears melt. Expect a seamless blend of rolling soul & chunky wobblers. Last but not least, off the back of a string of wicked releases and some massive shows we're well excited to have Shogun Audio’s rising stars GLXY down to complete the lineup. Two Six One is all about music for the heads, un-compromised sound quality & unique party vibes. Come and join us.